Having pre-prepped ingredients stored in the freezer is a major time and sanity saver! This is a great way to cook chicken so the flavor and texture after thawing do not taste like leftovers. By cooking chicken using this method, it will remain soft, you can avoid using added fat during the cooking process, it will not dry out, and once frozen, it is ready to pull out of the freezer one piece at a time. 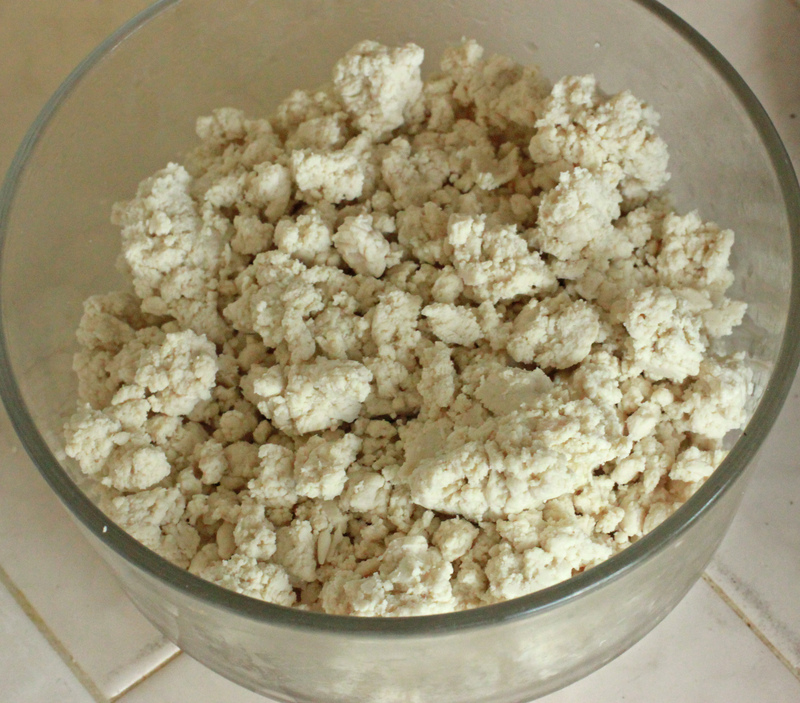 It is also ready to process further for other recipes that require shredded or pureed chicken. 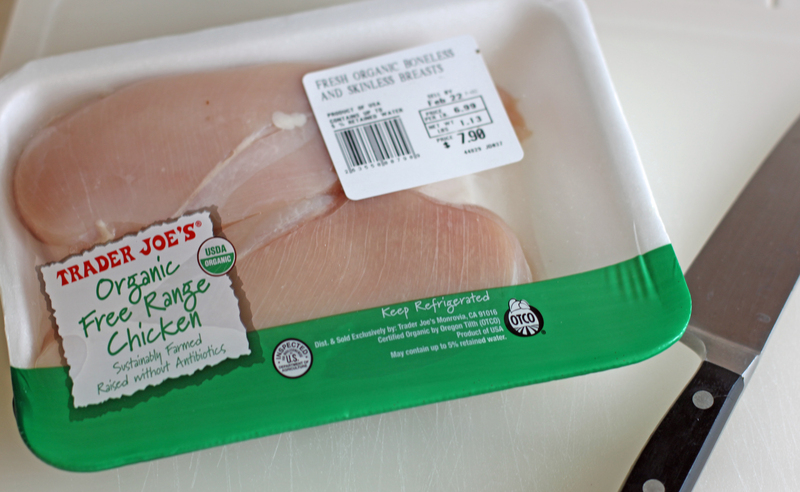 Boneless, skinless chicken breast, a clean knife and plastic cutting board. Fill a pot with enough water to cover the amount of chicken you have. Put the pot over high heat and bring the water to a boil. I slice the chicken into small bite size pieces. The are wider than they are thick, about 0.5 – 1 inch in size. 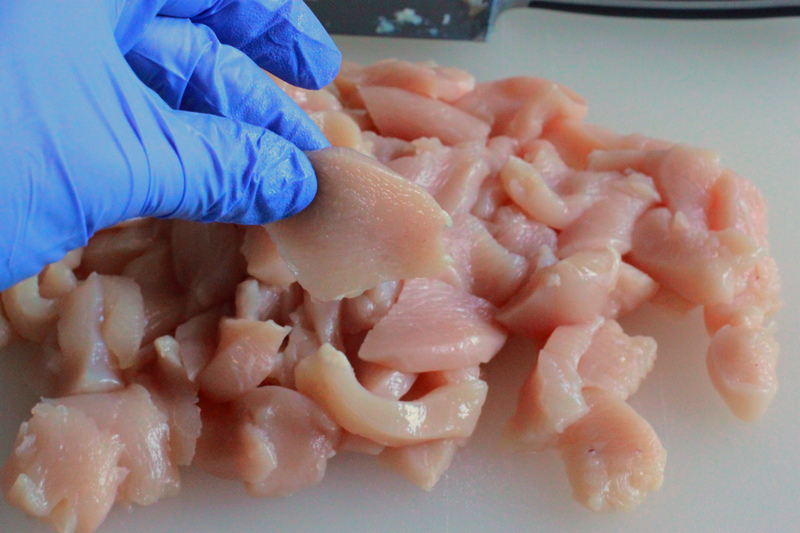 I choose to wear disposable gloves when handling raw meat, it is a great way to help prevent cross contamination with other ingredients. Once the water has boiled, put all of the sliced chicken into the water and stir to prevent the pieces of meat from clumping to each other. For the size pieces that I cut, 60 SECONDS is all it takes to cook. The water will not come back to a boil after adding the chicken. Before removing all of the chicken, check a larger piece to see if it is cooked through. The internal temperature of the meat should be 165 degrees and no longer look pink. I use a strainer to scoop it out into a clean bowl. If you would like to freeze the chicken, cover the cooked bowl with plastic wrap and allow it to cool completely in the refrigerator. I use gallon size zip top bags and lay them flat on a freezer shelf, making sure the chicken pieces inside are relatively spread apart. Once they are frozen, shake the bag to break them apart and squeeze the air from the bag. They will thaw in only a few minutes when I need them. 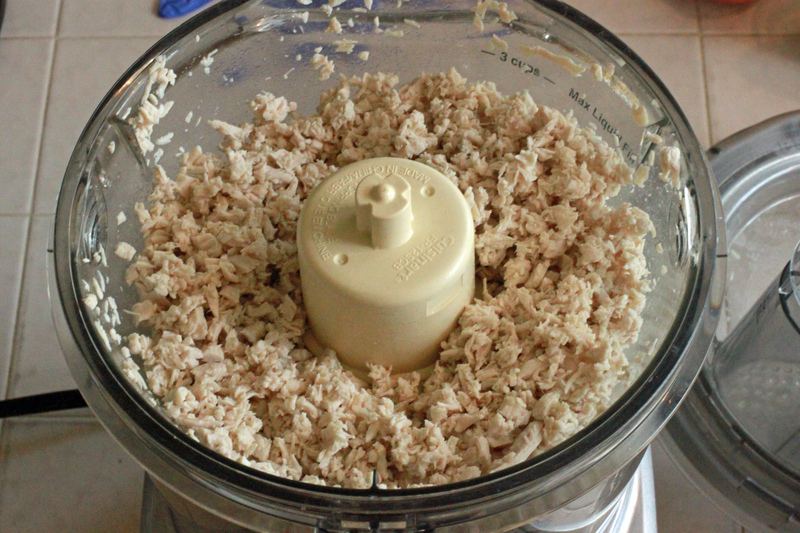 For recipes like chicken salad or chicken nuggets, I use shredded chicken. 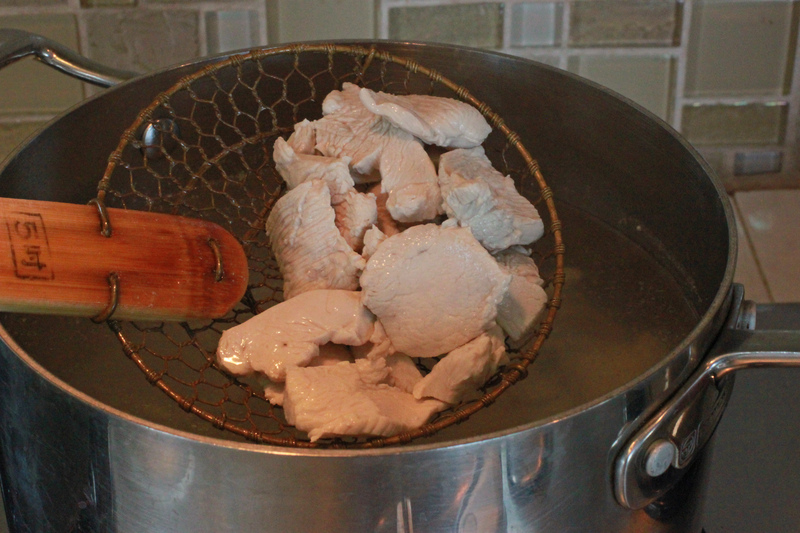 To shred the chicken, use a standard food processor. Just put the warm chicken into the processor and pulse it a few times. That’s it! Once you have shredded the chicken, you can move onto pureeing. After it reaches the shredded state, just keep the food processor running. It will take about about 5 minutes total. The chicken will never turn into a puree, it will begin to look very dry and clump together. Once you start to see it clumping together, it is ready. Take a piece out and rub it between your fingers. It should be very fine, with no large pieces interspersed. DO NOT add any water while pureeing! The water will add weight to the chicken and when added to a ketogenic meal, you will end up with less chicken than you should. It is best to puree while the chicken in still warm. Once it has cooled, it never seems to get a fine of a texture. Once the chicken is blended with other ingredients such as cooked vegetables and fat, it will thin in consistency from the added moisture from other ingredients. At this point, you have cooked, pureed chicken breast that is ready to be added to a keto recipe or freeze! Thank you. I’ve been wondering about prepping chicken this way for my 18 month old but haven’t because of the prep rules from Charlie Foundation don’t list it. Other methods the chicken is too dry like you stated. Since your boilng for such q short time is the worry of additional water minimized? If I am understanding correctly, you are asking about the chicken absorbing water as it cooks? If that is your concern, then no… I do not feel that the chicken is absorbing enough additional liquid to make a difference. After removing it from the cooking liquid, you will see the excess water at the bottom of the bowl (water that has clung to the sides of the meat) also, you can tell by the texture that it is not “water logged”, just nice and moist:) I think you will be pleased with the results!